As more physicians embrace telehealth as a way to increase access to quality care, it is imperative to modernize policy to support their efforts to address the healthcare needs of patients across the nation. 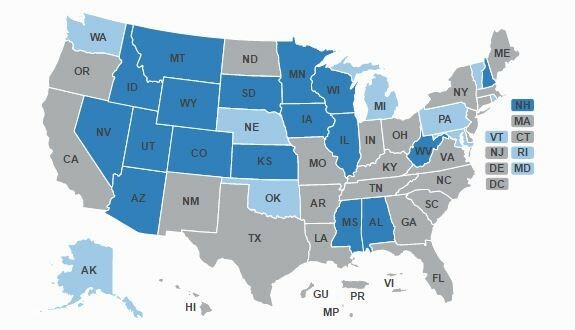 Over the course of the last 18 months, nearly every state has upheld that the standard of care for physicians providing care via telehealth should be equal to that provided in person. Telehealth payment laws have doubled in the last year; commercial payers are adopting more progressive reimbursement and coverage policies, and state Medicaid support for telehealth is on the rise. Even opportunities for payment within Medicare are increasing, as the CMS Innovation Center announces more test models which embrace the value of telehealth. We are clearly approaching a “game over” moment in telehealth policy evolution. However, the lingering concept that physicians can only provide care in the state where they are physically located has remained in the current licensure environment. Dealing with 50 varied licensure application processes is onerous and time consuming, creating a barrier that stops many from projecting their clinical expertise across state lines. Starting in January, 2017, the Interstate Medical Licensure Compact will create a new pathway to expedite multi-state licensing for physicians seeking to practice medicine in multiple states. Seventeen states across the country participating in the Compact agreed legislatively to share information with each other and work together to significantly streamline the licensing process. As a result, nearly 80% of the physician population licensed in the United States could be eligible for expedited licensure via the Compact process. The creation of the Compact Commission created a “centralized licensure mechanism.” Through this, an eligible physician with a license in a participating state will designate a state of principal licensure and select the other participating states in which a medical license is desired. The state of principal licensure will verify the physician’s eligibility and provide required information to the Commission. The Commission then collects all applicable fees and transmits the physician’s information and licensure fees to the additional states. Upon receipt by the additional states, the physician will be granted additional licenses. Gone will be the cumbersome process of communicating with multiple states, varied applications and wait times, and confusing procedures. This is a tremendous step forward for telehealth. Physicians practicing through telehealth technologies will soon be able to leverage their existing licenses to gain licensure and practice in multiple states. American Well recently joined forces with Interstate Compact Commissioner Ian Marquand for an educational webinar. During the webinar, they discussed the impetus for the Compact, how it works, the timeline for implementation, and the value of the Compact to the telehealth ecosystem. Watch it on demand here.